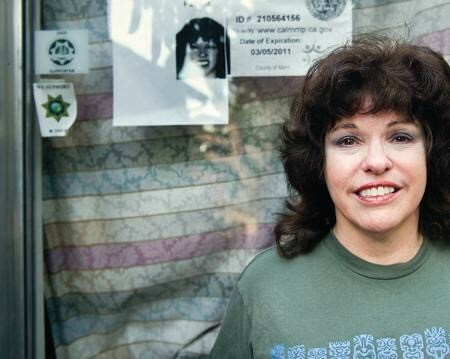 Shaw’s been a figure in federal-state conflict over medical pot law for almost two decades. The feds filed an injunction against Shaw in 1998, and used the injunction to officially shut her down in 2011 — as part of a statewide crackdown targeting medical cannabis’ leading lights: Oaksterdam’s Rich Lee; the Berkeley Patients Group; Harborside Health Center; the City of Oakland; and Mendocino County. Last December, the Rohrabacher-Farr rider zeroed out funding for any DOJ efforts to interfere with state medical pot laws. Shaw motioned in June to dissolve her injunction, citing the rider. US attorneys argued against her. In practice and in court, the DOJ rejects Congress’ historic ceasefire on medical cannabis. Rohrabacher-Farr simply halts DOJ harassment of state officials, the DOJ argued in briefs. Judge Breyer disagreed and ruled Congress meant what it said it meant — leave lawful state-legal medical cannabis alone — and lifted Shaw’s injunction. Shaw said she’d won the war. The ruling set a powerful precedent, giving a potential shield in court to lawful state operators across the country. Now, the DOJ is challenging that shield with an appeal to the Ninth Circuit using the same arguments that lost in the first round, said Shaw’s attorney Greg Anton. The DOJ’s appeal may constitute a crime under the federal Anti-Deficiency Act, which bars federal employees from contravening Congress’ powers of the purse, said Anton. The decision to appeal the Shaw case must have come from the White House, federal memos indicate, and Anton believes. Both Governor Jerry Brown, and several state representatives, including Congressmember Barbara Lee — have asked the DOJ to desist. The feds can focus on clearly illegal activities like interstate drug trafficking. Instead, they’re hounding one of the most compliant industry operators in California history. “If Mother Theresa was trying to distribute medical cannabis to people with cancer, they would go after her to make an example,” Anton said. Amidst nationwide fears about domestic terrorism, the waste of funds on medical pot is “abhorrent,” said Anton. The appeal may take up to a year at the Ninth Circuit, and one or two years more if appealed to the SCOTUS. In the meantime, Shaw said she is “innocent until proven guilty." She’s raising money to open a dispensary in West Marin, and working to update cultivation regulations in her old town of Fairfax. Congress also renewed its ceasefire in the war on medical marijuana on Friday with more states and lawmakers in support than last year. More than 80 percent of Americans support safe access to medical cannabis-derived products.